Murder by Gaslight: The Murderous 1850s. Reports of sensational murders had proven so successful at selling newspapers in earlier decades, that by the 1850s murder had become a front page staple of American newspapers. Murder stories, unfolded in the daily papers as if they were serialized mysteries, and readers could not get enough. 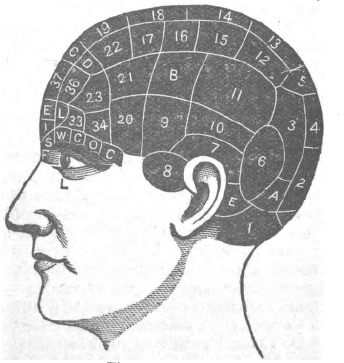 Phrenology, the theory that a person’s character is determined by the size and shape of his head, was quite popular in America during the 1850s. 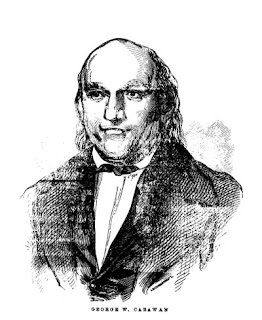 A phrenological analysis of Reuben Dunbar in 1851 found him to be excessive in Destructiveness, Combativeness, Aqusitiveness, Secretiveness and Firmness, while being deficient in Self-esteem and Philoprogenitiveness. He had “an unfortunate organization” in which his moral faculties were not sufficiently large to balance his animal propensities. While the phrenologist professed scientific objectivity in the analysis of Dunbar’s head, she may have been somewhat influenced the fact that, at the time, Reuben Dunbar was charged with murdering his two young stepbrothers to protect his inheritance. 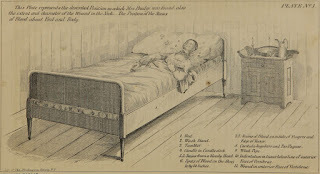 On the morning of March 11, 1853, the bodies of Mrs. Honora Shaw and her sister Mrs. Ellen Lynch were found brutally stabbed and beaten in the front room of their home on Federal Street in Philadelphia. 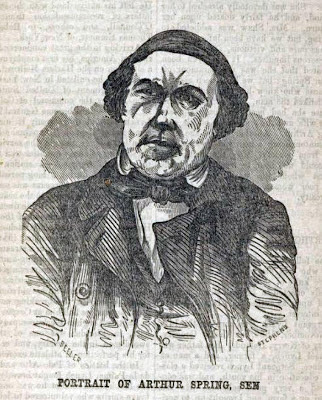 Circumstantial evidence pointed to Arthur Spring, a frequent guest of Mrs. Shaw’s, as the murderer. But the most damning evidence against Spring was the testimony of his nineteen-year-old son, Arthur Jr. who directly accused his father of the murders. Arthur Spring vehemently denied the charge and countered by pinning the murders on his son. In 1854, a woman calling herself Henrietta Robinson stood trial in Troy, New York, for poisoning a neighbor and his sister-in-law. Despite the judge’s admonitions, she sat through the trial with her face covered by a black veil, hiding her appearance from the throngs of spectators who had come to watch. Everything about the defendant was a mystery—her motive for murder, her behavior before and after the crime, and even her true identity. It was well known that “Henrietta Robinson” was an assumed name, but who she really was has never been determined. Bill “The Butcher” Poole was a champion New York City pugilist in 1855—before the Marquess of Queensbury rules—when kicking, biting and eye-gouging were acceptable tactics and “fight to the death” was more than a metaphor. It was also a time when a challenge was likely to be issued out of pure hatred for your opponent. When John Morrissey, the Irish enforcer for Tammany Hall challenged Bill Poole of the the anti-immigrant “Know Nothing” Party it promised to be the ultimate grudge match. But when the fighters turned to knives and guns, all pretext of sport was gone. It would be Bill “The Butcher” Poole’s last fight. The townhouse at 31 Bond Street was, to all appearance, a model of staid middleclass Manhattan decorum. In 1857 it was a boardinghouse run by Mrs. Emma Cunningham with the dental office of Dr. Harvey Burdell on the second floor. But after Dr. Burdell was found in his office strangled and stabbed fifteen times, 31 Bond Street was shown for what it was—a hotbed of greed, lust, intrigue and depravity. On a sunny December morning in 1857, Mrs. Anna Garber and Mrs. Elizabeth Ream were raped and murdered in Mrs. Garber’s home in Manheim, Pennsylvania. 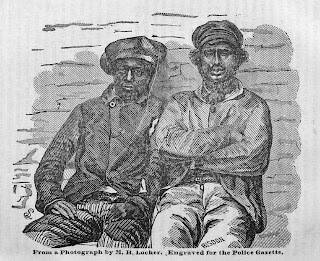 Evidence overwhelmingly pointed to Alexander Anderson and Henry Richards, two African American workmen seen in the neighborhood. Though there was little doubt as to who committed the murders, a question still remained: would they be tried by the Commonwealth of Pennsylvania or would the case would be handled by "Judge Lynch." 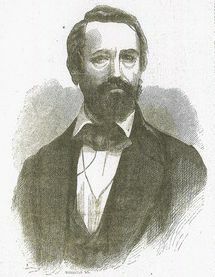 Dan Sickles, congressman from New York, was married to the most beautiful woman in Washington but his other interests, including his mistresses, often kept him away from home. Feeling lonely and abandoned, his lovely young wife, Teresa, found comfort in the arms of Philip Barton Key. 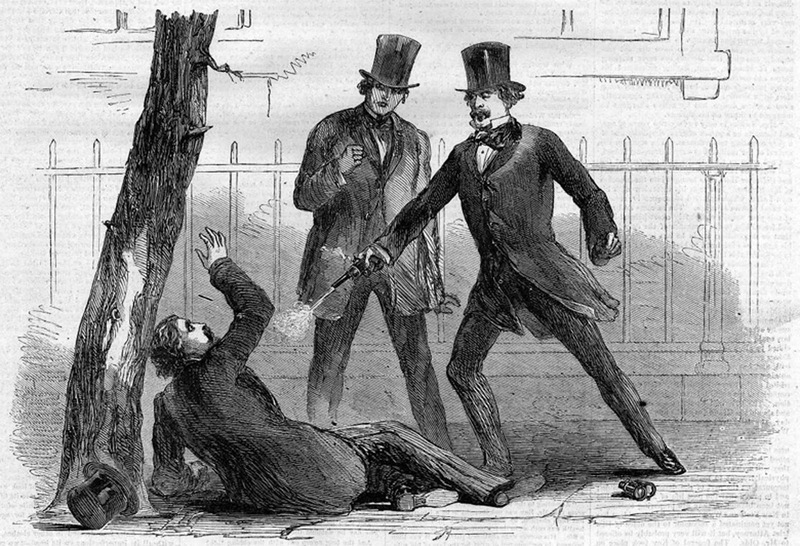 When Sickles learned of their affair, he armed himself and confronted Key on the street. Blinded by rage he shot and killed his wife’s lover. Was it premeditated murder or temporary insanity? The morning of December 11, 1859, eleven-year-old Priscilla Budge carried a cup of tea to her mother’s bedroom. There she found her mother dead, lying on the bed with her throat cut. Mrs. Budge was known to be mentally unstable and her husband, the Reverend Henry Budge, immediately declared that his wife’s death must have been suicide. The coroner’s jury agreed and Mrs. Budge was soon buried—a quick conclusion to an unpleasant event. But as it turned out, it was not the conclusion, just the opening argument of a debate that would go on for years. "Yes, I Shot to Kill." The Maniac at Des Moines. Murder Among the Whyos, Part 2.